Have you seen Ralph Fiennes’ powerful new film The Invisible Woman about Charles Dickens and his lover Ellen “Nelly” Ternan? Based on real life events, the film is beautifully acted by Fiennes, Felicity Jones, Kristen Scott Thomas, and others including Joanna Scalan as Catherine Dicken’s (Mrs. Charles Dickens). The film can be seen as a powerful meditation on the role of women in Victorian society. Without giving too much away, it is worth thinking about who exactly is “The Invisible Woman” in the story. 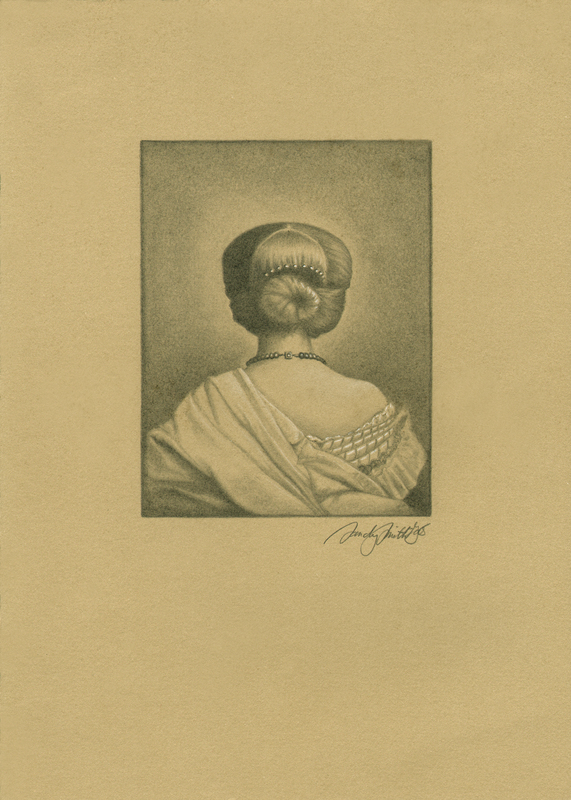 The art direction and cinematography reminded me of Black Pearls, a drawing I did years ago based on an 1862 century photograph by the French photographer Onésipe Aguado titled “Woman Seen From the Back.” The drawing is in the collection of the Metropolitan Museum of Art. 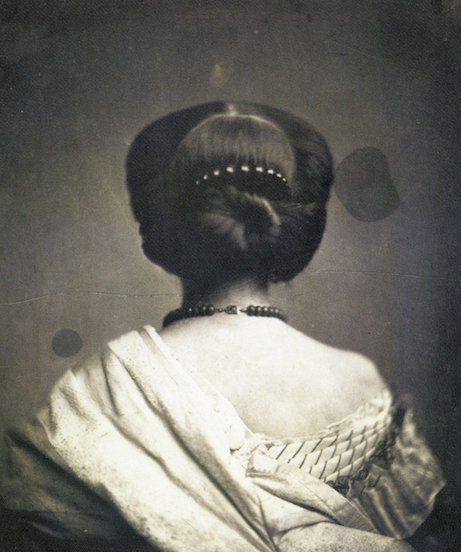 I first saw it in the wonderful photography show The Waking Dream: Photography’s First Century: Selections from the Gilman Paper Company Collection. The links above take you to interesting commentary on the image from the Met’s site as well as a link to the show’s catalogue. This entry was posted in fine arts, photography, women and tagged art, charles dickens, the invisible woman, victorian england, women. Bookmark the permalink.